Death of Mr. John Lynch. Leader of the pikemen in Australia’s only insurrection. Victoria — and, indeed, Australia — has lost one of her noblest veterans and upholders of freedom — Mr. John Lynch, of Smythesdale, in the Ballarat district. He was the lieutenant of Peter Lalor when the oath was taken to be true to the flag of the Southern Cross and to die, if necessary, in the defence of the sacred banner of freedom. The deceased gentleman was one of the most honoured figures at the celebrations of the Eureka centenary in Ballarat, 3rd December, 1904. He has raised up a noble family. Deceased, who was a native of County Clare, was 80 years of age. He was a member of one of the oldest and most influential families in the south of Ireland, and arrived in Victoria in 1852. In the fight at the Stockade between the British soldiers and the diggers he had command of the pikemen, and was among those who were subsequently arrested for resisting the supremacy of the law, but he was not included among the thirteen insurgents who were conveyed to Melbourne to stand their trial for high treason. On the conclusion of peace, with the termination of the State trials, Mr. Lynch, who was a first-class mathematician and classical scholar, adopted the profession of surveyor, and on his settling in the Smythesdale district he engaged largely in the work of surveying the surrounding goldfields. For nearly fifty years he acted as Government surveyor in the district, and was professionally associated with the Grand Trunk, Reform and other well-known mining properties. The deceased was a fluent speaker, and on the occasion of public gatherings in connection with the Eureka Stockade, his utterances were always heard with great interest. He was very highly esteemed by all classes. He made his last appearance in public on 3rd December, 1904, on the occasion of the 50th anniversary of the Stockade. He was then very feeble, and on this account was only an eye-witness of the demonstration. He was a widower, and leaves a family of four sons and one daughter. His sons are Captain Lynch, chairman of the Country Fire Brigades Board; Dr. Peter Lynch, of Carlton; Dr. Maurice Lynch, and Mr. Arthur Lynch, M.A., M.B., who fought with the Boers against the British in the South African campaign, and was subsequently elected to the British House of Commons by an Irish constituency. He also leaves a daughter, Miss B. Lynch, who resides at Smythesdale. Deceased some years ago sustained a severe bereavement by the death of seven of his children from diphtheria within a few days. The funeral, which took place on Thursday, was, at the request of the deceased, of a private character. 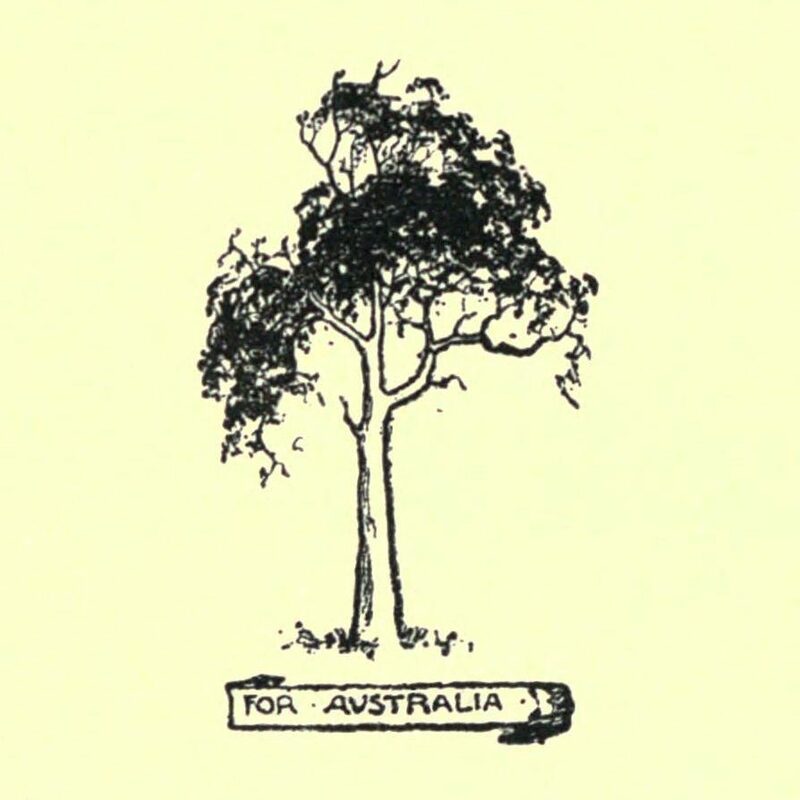 At the old pioneers’ gathering at the Gardens, Ballarat, on Friday, 4th December, 1896, Mr. John Lynch, of Smythesdale, proposed the toast of “The day we celebrate” — the anniversary of the Eureka Stockade affair. The subject of this toast is a grave and solemn one. No matter from what point we view it or in what vein we discuss the causes that led to an armed revolt against constituted authority, no matter how it may look now when gauged by the results of a later and larger experience, or how much we may approve or condemn it, the action itself can never lose its importance or fail to evoke a warm tribute of respect and sympathy in minds imbued with the spirit of genuine independence. It is now forty-two years since those exciting occurrences took place which culminated in the Eureka tragedy, and just forty years since I addressed a monster meeting of diggers on the spot where the carnage was most rampant, and from which spot some thousands of brave men marched in procession to the cemetery to pay their sad respects to the memory of those who fell and died in the cause of liberty. On arrival at the graves a funeral oration suitable to the occasion, was delivered by Dr. Hambrook, and with that service terminated the ceremonial duties of the day. Nothing, however, of significant import has been done in the matter up to the present time, yet I think it is but fair to assume that this seeming apathy has not arisen from any feeling of disregard to the claims of reverential duty, but may be imputed to the difficulty of surmounting that inertia which keeps passive large bodies of people where there is no active organization to rouse them to exertion. In our ordinary estimate of duration the period that has intervened between those stirring times of the past and the happy “piping times” in which we now live, move and have our being, might be accounted a long one, yet, in relation to the matter under consideration, it seems to me like an affair of yesterday. To cold and cynical natures the enumeration of your deeds would probably be rated as a puff of self-glorification: but I would endeavour to silence such critics by pointing out to them that you belong to an army of pioneers who have succeeded in laying the foundations of future greatness. The issue of the conflict. In approaching the subject of the toast I meet a difficulty — a kind of paradoxical one, something like the tug of opposing forces, with indecision as a resultant. I am at a loss to decide whether the issue of that memorable conflict is to be regarded as a victory or a defeat. If a defeat, it nevertheless gained for us all the advantages of victory; and if a victory it is questionable if another such would not, at that early stage of our colonial existence, turn out to be like that famous one of Pyrrhus, and leave us “undone.” In this dilemma I will elect to call it a “victory in effect,” and to remind you that it procured for us all that we demanded, besides expediting that revolution in our affairs which placed the Government of the country in our hands. The previous ill-conditioned state of things could not be longer maintained by the one side, or endured by the other, and it was obvious that a time had arrived favourable to the settlement of affairs on honorable and lasting terms. The work of conciliation started with hearty good will by the redress of the more pressing grievances, and then followed many substantial reforms. were recognised, and in a short period we were placed under a constitution as free and unrestricted as any on the face of the earth. It would be out of place here to enter upon an elaborate recital of the many acts of Governmental and official folly which precipitated that memorable crisis. To those who were present, either as actors or spectators, the story would be needless, and to those who were not, I would recommend the perusal of that veracious and interesting narrative given to us by the Herodotus of Ballarat. Three years ago, at the instance of a venerable friend, I was asked to furnish the “Austral Light” magazine with a character sketch of some prominent pioneers known to me, but calling special attention to the claims of the late Hon. Peter Lalor. My contributions extended over six articles, and the magazine called them “The Story of the Eureka Stockade.” Finding it hard to show in the uneventful life of a digger anything very striking, I had to draw upon the incident in Mr. Lalor’s life that then differentiated him from the ordinary run of nomadic diggers; and in doing so introduced so much of the story of the Eureka Stockade as answered the original purpose of the articles, leaving out many particulars which I might have adduced had it been my sole intention to tell the “story” in the fulness of detail. 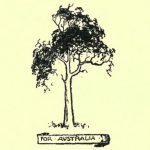 “The “Austral Light” articles being accessible I think it best not to encumber the toast by supplementing it with any particulars that may be so readily found elsewhere. But I cannot close these remarks without expressing my conviction that however execrable had been the government of the goldfields, the catastrophe so much deplored might have been averted had a little wisdom and forebearance been observed in the administration of the goldfields regulations, or rather had not the conduct of some of the officials of the day made the enforcement of the bad regulations simply intolerable. To assess an exorbitant poll tax, and levy it by an armed force at the point of the bayonet; to treat inability to pay worse than felony is treated now ; to indulge once or twice a week in the pastime of digger-hunting with strong forces of cavalry and infantry, to drag the diggers from their tents and ferret them out of their holes ; to chain them to logs until there would be leisure to scold and fine them, were certainly not like the “Deeds that won the Empire” or the deeds that hold it when won. If it were intended to strain the patience of the people to the utmost point of tension no better experiment could be made than that in vogue during the regime, of the “Lords of Misrule,” of those stirring old times. But if to the catalogue of misrule there be superadded many petty irritations, the wonder is not that a collision ensued, but that it had not occurred long before. I hope that I will not be understood as casting aspersions on all the officers of the goldfields. There were in those days, as in these, many good and exemplary men, who, doubtless regretted the necessity that obliged them to take disagreeable measures. A few of those good men we have still with us, and by their conduct through many years they have fully shown that it was the system that was bad, and not they. I am glad that having survived the epoch of misgovernment, their services were made available under a regime more useful to us, and congenial to their own feelings. The victors our own kin. It would be like leaving Hamlet out of the play, to refer to the Stockade and not introduce the military element. My reference must necessarily be brief, but it will be as candid as brief. We were simply beaten. We need not, however, feel ashamed of the result. Our encounter was with no foreign foe. We succumbed to no alien force. Ill-matched in every respect ; inferior in numbers, in arms, ammunition, discipline, training, and perhaps in that high moral effect that springs from a rigid sense of duty, it is no wonder that we were quickly overcome by assailants amply furnished with all those essentials. A touch of warfare’s barbarity. There is one serious incident in connection with this fatal conflict which I would under other circumstances rather have passed over in silence. It is this — that the carnage within the Stockade set in with reckless fury after resistance on the part of the diggers had ceased. By the time they had surrendered there was certainly considerable havoc done ; but the most deplorable act of the tragedy was performed after resistance had ceased, and when the vanquished were as helpless as sheep in a slaughter-pen. Time works wonders, even in healing up old sores, and I do not suppose that anyone will feel uneasy at the mention of this incident; but in any case it is well to know it, if only to show how dreadful is even a slight foretaste of war, and how feeble and unavailing are moral and humane sentiments when the fiercer passions and animal instincts of our nature are brought strongly into play. The bulk of the text contained in the section entitled “The late John Lynch” is a reproduction of a passage from the “About people” column in The Age, 22 March 1906, page 5.